You are here: Home / 2019 / February / 12 / Lincoln: He’s everywhere! Reposted from February 12, 2015. As I commented, I am not a huge fan of Lincoln (don’t like Douglas at all). That said, I’d rather recognize Lincoln on Lincoln’s birthday than recognize that amorphous groups, Presidents, next Monday. I don’t generally comment on Lincoln’s Birthday because I’m just not a Lincoln fan (though Lincoln-Douglas is interesting reading if you like that sort of thing) but this is the second time today I’ve randomly come across something related to Lincoln. 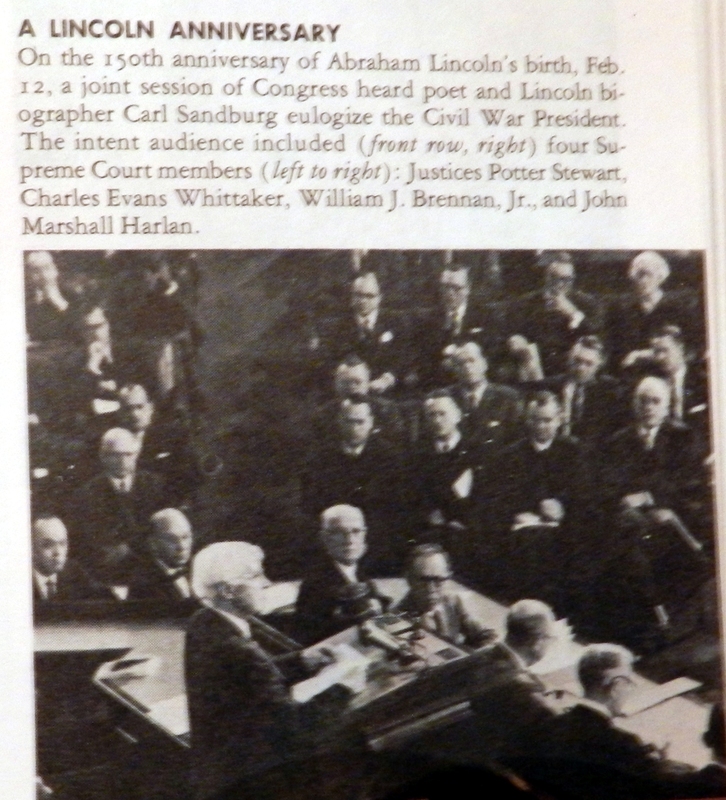 If you can’t read the caption, the speaker is “poet and Lincoln biographer Carl Sandburg.” He’s eulogizing Lincoln in front of a joint session of Congress on the occasion of the 150th anniversary of Lincoln’s birth, February 12, 1959. Four Supreme Court Justices are seated in the front row (left-right Potter Stewart, Charles Evans Whittaker, William Brennan, Jr., and John Marshall Harlan). Earlier today I picked up America: God Shed His Grace on Thee (Robert Flood,1975) and learned that Lincoln knew scripture but was not a church-goer. Thus conclude my thoughts on Lincoln this day. 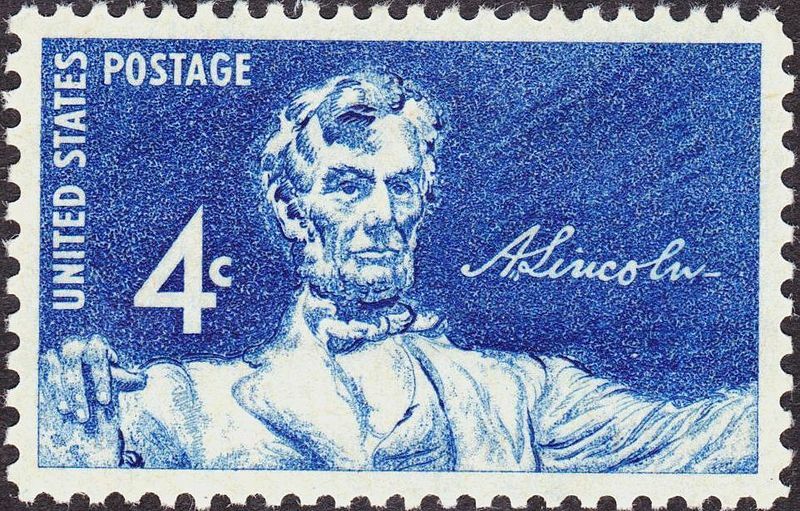 A Lincoln series of stamps issued in ’59.